Simplifying the iconic design of the Original Tall Boot, the Play Boot offers a dynamic silhouette with a flatter platform sole for maximum comfort and versatility. 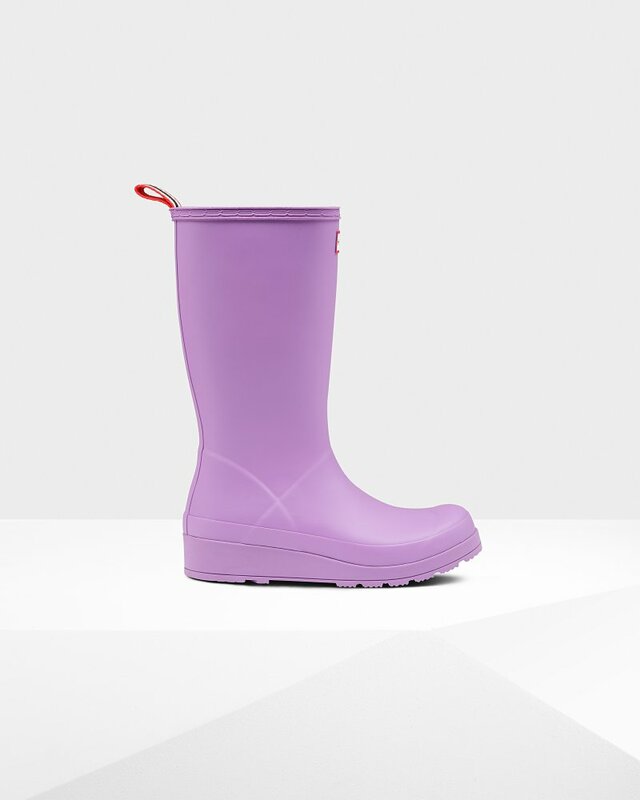 Crafted from the highest quality natural rubber this women's wellington is 100% waterproof. At a stylish mid-calf height, this tall lilac boot complements street style, festival flair and everything in between, so you can play it your way. Rated 5 out of 5 by EmilyT from Super comfy Really comfy wellies and I love the play style :) I'm quite short (5"2) so always a bit worried that wellies will be too long, but these are great! Rated 5 out of 5 by Cathryn from Comfy like a warm mug of cocoa! Comfy, stylish, practical...it's like coming home! Rated 5 out of 5 by Sarah from Such funky gumboots! Such funky gumboots - I'm in heaven. Plus they have a wedge heal - perfect for my achilles heel problems! Rated 5 out of 5 by Shingle Stroller from Cute, comfy & colourful Very green and extremely comfortable when walking on a shingle beach with the hounds. These wedge wellies are so much better than standard soles. Rated 5 out of 5 by Xxxx from Keeps water out! They are just wellies??? What am i supposed to say?